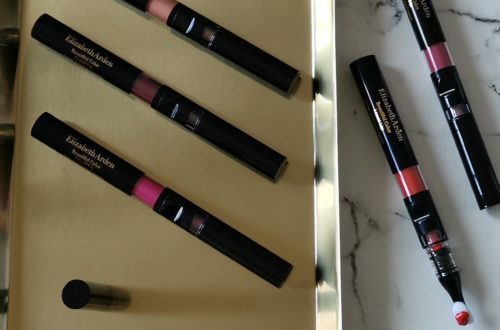 I’ve been a busy bee testing pigmentation tackling products this winter, and there are two stand out ranges that you’ll want to know about. Obviously if you don’t struggle with pigmentation, you won’t have looked at these, but this one in particular (the other review, Sisley Phyto Blanc, will be live next week), contains UV, pollution and antioxidant protection, so will serve as a great preventative measure if you are serious about skincare. 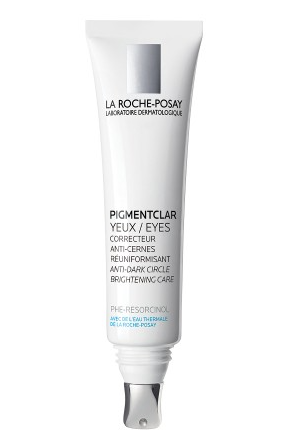 The La Roche-Posay Pigmentclar range is a target collection of 4 products that provides both immediate and long-term results. I’ve been trialing 2 of the 4 products, which I’ll tell you about below. The other two are the Brightening Foaming Cream Cleanser (R222) and Intensive Dark Spot Concentrate (R343). The two I’ve been using and loving are the Even Skin Tone Daily Moisturiser UV SPF 30 (R293) and Anti-Dark Circle Brightening Care for Eyes (R242). The Even Skin Tone Daily Moisturiser UV SPF 30 is probably my skincare find of the year. I normally use the Effaclar Duo and this works just as well as far as hydration and general skin health goes, but with serious added benefits. After using it for 2 months, I’ve noticed a huge improvement in the appearance of my remaining dark marks (the Sisley had already made a big difference, but I still had some stubborn spots) as well as on my acne scars. I haven’t broken out, either, which is why I was using the Effaclar originally. 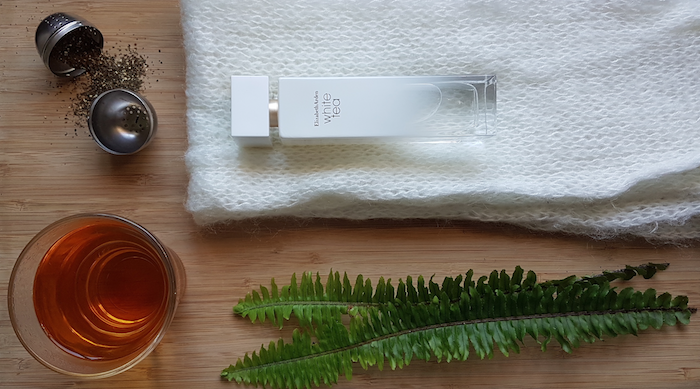 Looking at the clinical trials, the antioxidant protection is impressive, but not something I can tell you about as far as the actual protection goes on my skin, but I can tell you that my skin is definitely more radiant, smooth and even. All of which are testament to the formula’s strength. The Anti-Dark Circle Brightening Care for Eyes also contains UV and antioxidant protection to protect the delicate eye area. 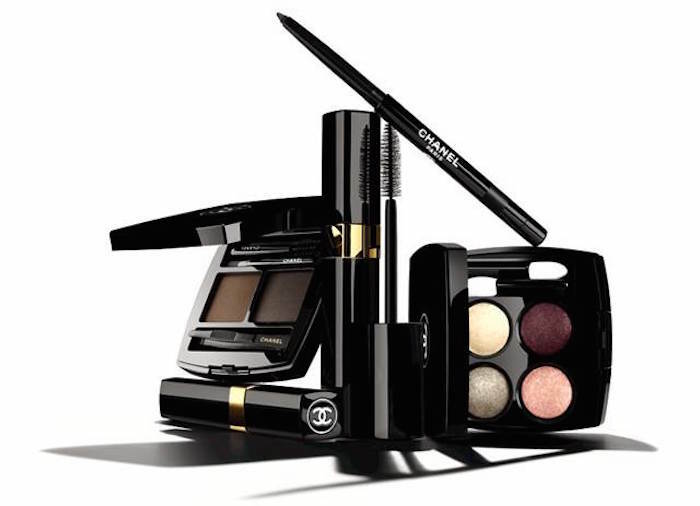 But it is also indicated for reducing the appearance of both blue and brown dark circles. I have blue dark circles that have definitely been vastly reduced since using this and my eye area in generally is brighter and a bit plumper. It comes with a cooling metal tip so you can give yourself a draining massage every time you apply it, which is incredibly beneficial if your suffer with dark circles. 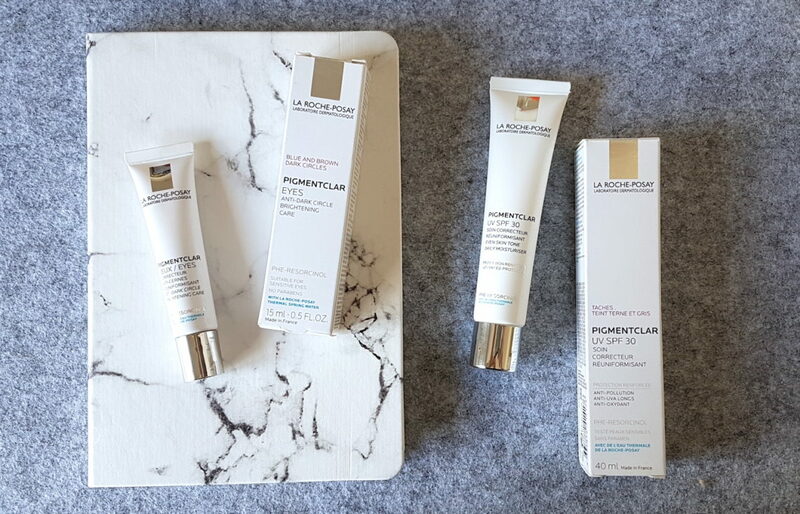 You can get your hands on the La Roche-Posay Pigmentclar range online from Skin Miles, Dermastore as well as Dis-Chem online and in-store. 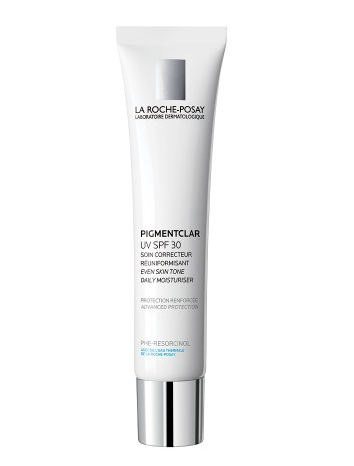 Follow La Roche-Posay on Twitter, Instagram and Facebook. I’m based in South Africa. The best thing you can do for your skin is to wear sunscreen every single day. Vitamin C and retinol (Vitamin A) serums will help to reduce the appearance of dark marks, but if you don’t protect your skin from the sun, they will get worse.